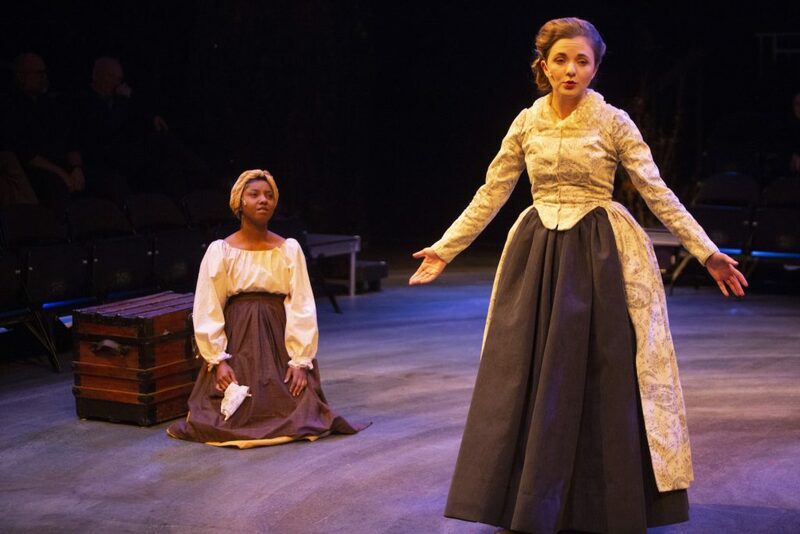 Bloodroot, the play that premiered November 2018 at Liberty University’s Black Box Theater, started out as a research project. Now it has a shot at regional stardom and even a national spotlight thanks to the invitation from the Kennedy Center American College Theater Festival. 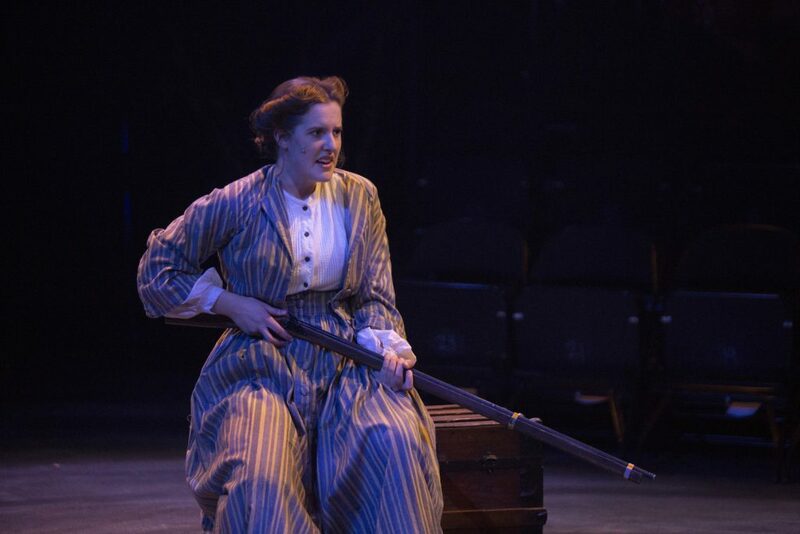 The play, written by 27 female student playwrights under the tutelage of Professor Linda Nell Cooper, department chair for the department of Theatre Arts, follows six stories of women who lived along the Appalachian Mountains. 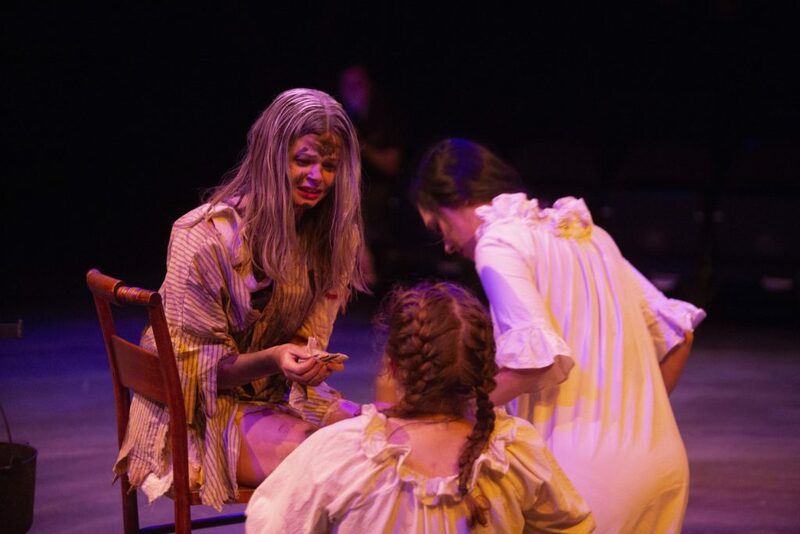 Scott Hayes, the director of “Bloodroot” and the dean of the School of Visual and Performing Arts, did not direct the play with the regional competition in mind, much less the possibility of nationals. Now, however, he thinks the play is perfect for the competition. 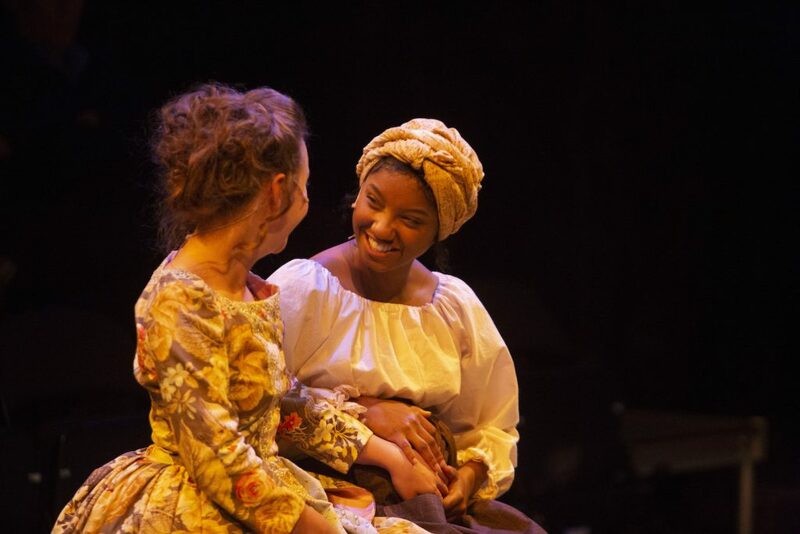 “It’s an original play, written by students, solving a problem in academic theatre, delving deeply into other departments, (in this case) history,” Hayes said. The Kennedy Center holds festivals to help determine the best of the best among collegiate thespians. Schools across the nation are divided into eight regions. One play will be chosen from each region will be invited to the John F. Kennedy Center for Performing Arts in Washington, D.C. to compete in the final competition. WOMEN — The play was written by 27 female student playwrights. Liberty is one of six institutions to represent Region Four, which consists of the southeast states, the Virgin Islands and Puerto Rico. The entire cast, crew and production team, a group of around 53 people, will travel to Spartanburg, South Carolina, to perform the play. He said the representatives from the KCACTF base their nominations on a show’s “innovation and excellence in production.” “Bloodroot” tackles a common college problem of having many male-heavy plays in standard repertoire when women make up the majority in theatre departments. While getting to perform in front of thousands is an honor, Hayes said the real privilege is being able to spread the gospel through storytelling. Since Liberty is a Christian university, the knowledge that everything happens through and because of Jesus is widely understood on this campus, according to Hayes. Because of this nomination, Hayes reasoned, students have the opportunity to share Christ through the excellence with which they perform. Gabrielle Crandall, the assistant stage manager, could not agree more. She has studied the script and has seen where Christ is evident in each story. “The play is inspirational and timely, and uniquely incorporates Christian themes of sacrifice and hope,” Crandall said. Hayes cited how impressed the judges were that the writers were able to create such an emotional, raw, powerful script. He has faith in the ability of the students’ performances as the play moves up in competition. “I am confident that our students will be on par, or better,” Hayes said. The Bloodroot team will leave Liberty Tuesday, Feb. 5 and will return Thursday, Feb. 7. Should Liberty be chosen to represent the region at the national level, more rehearsals would be required, and the time commitment would be great. However, Hayes claims it would be well worth it.